“The International Publishers Association has thrown its full support behind US publisher Macmillan and its CEO John Sargent for their firm stand in the face of pressure from United States President Donald Trump to halt publication of Fire and Fury, Michael Wolff’s book on the Trump White House. “The IPA sees Trump’s attempt to stop publication of Wolff’s book as a new and worrying development for the USA, a longstanding bastion of freedom of expression. In a prepared statement, IPA secretary general, José Borghino, is quoted, saying, “It is a sad irony to see the so-called leader of the free world trying to limit freedom to publish. Borghino’s comment is coupled with one from Kristenn Einarsson of the Norwegian Publishers Association and IPA Freedom to Publish committee chairman, who says, “Freedom to publish is an essential part of any democracy but it is a fragile thing in some places in the world. The IPA statement also recognizes the earlier commentary from the Association of American Publishers, in which president and CEO Maria A. Pallante is quoted, saying, in part, “While it is understood that some books will be unpopular, upsetting, or even threatening to some audiences, the Supreme Court has long recognized that prior restraints strike at the very heart of our democratic ideals and are presumptively unconstitutional. “In most cases, the circumstances are such that the author has a right to write, the publisher a right to publish, and the public a right to read. Of course, author Wolff hardly has had smooth sailing as his US publisher, Macmillan’s Henry Holt, produces what it says is 1.4 million hardcover copies of the book. Running the gauntlet of weekend news shows in the United States, he ran into a stiff challenge from CNN’s Michael Smerconish on the techniques Wolff used to ingratiate himself to a White House staff he went on to depict as squabbling, confused, and strained to the limit in trying to handle Trump. 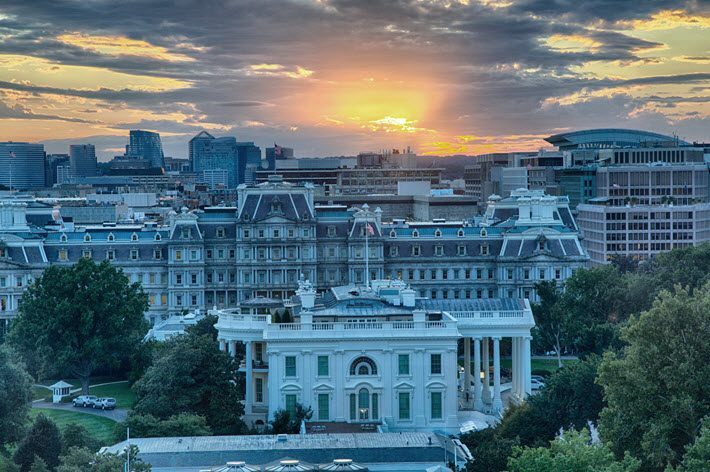 And Susan Glasser at The New Yorker has produced an instructive essay on Wolff’s distance from Washington culture and ways in which this contributed to the smaller missed points that some insiders feel compromises parts of the book’s impact. None of which seems to be slowing down Canadian interest in the book, according to the Toronto Star‘s David Rider, who writes that by Thursday afternoon (January 11), “there were 2,287 names on the waiting list to borrow a Toronto Public Library copy” of Fire and Fury. So heavy is the demand that Toronto’s library system, Rider writes, has ordered 330 print copies and 150 ebook editions–in edition to the 29 copies it now has in circulation. 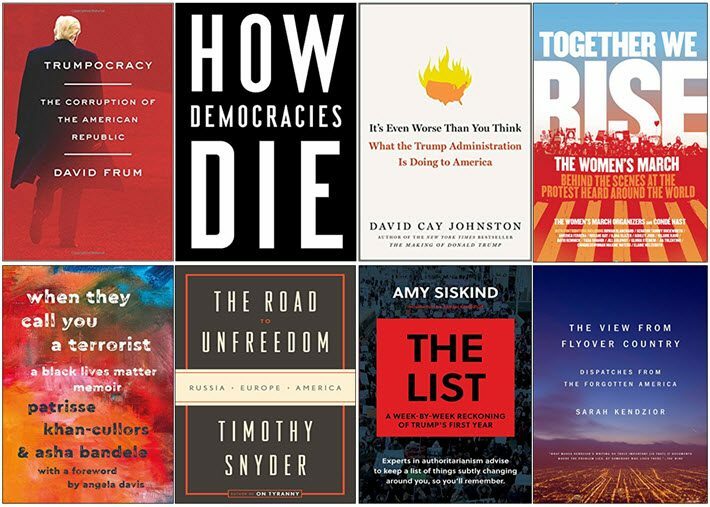 In terms of market play, the rising alarm around the Trump administration’s first year has produced a clutch of books being released on Tuesday (January 16) relative to the issues. Indeed, this “expanding literary genre” includes another title not in our collection above, Can It Happen Here? 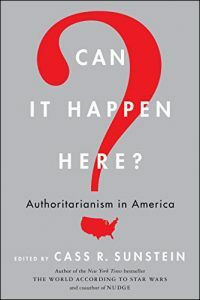 Authoritarianism in America by bestselling Harvard professor Cass R. Sunstein is scheduled for March 6 from Dey Street. 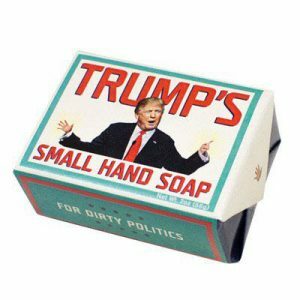 Trump’s racist commentary in a bipartisan meeting on immigration late last week–in which two senators who were in the session say he referred to Haiti and African nations as “shithole countries”–triggered a quick groundswell on social media, and especially on Trump’s favorite platform Twitter, of beautiful images from many parts of the world, hashtagged by a defiant #myshithole. 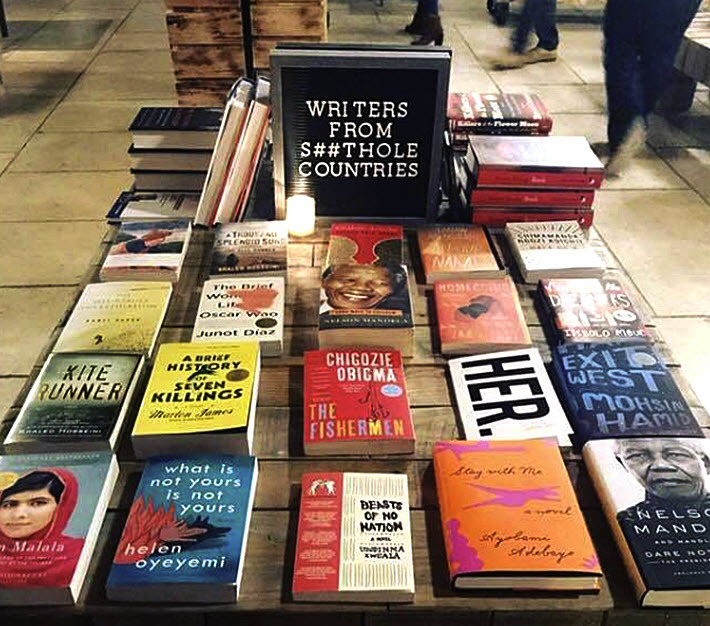 David Choi at Business Insider picked up on how the ownership of the bookshop Rough Draft Bar & Books in Kingston, New York (about two hours north of New York City) was prompted to create a front table display of “Writers from Shithole Countries,” displaying books by Nelson Mandela, Malala Yousafzai, Marlon James, Chigozie Obioma, Chinua Achebe, Imbolo Mbue, Helen Oyeyemi, Khaled Hosseini, Chimamanda Ngozi Adichie, and others. No good deed goes unchallenged these days, of course, and when the bookstore had some customer commentary about the use of the offensive term being less than uplifting, the store responded by replacing its sign with one saying “E pluribus unum” and a pledge to donate 100 percent of sales on Monday–Martin Luther King Day in the United States–to the International Rescue Committee.